Westfield4Schools | Leading Supplier to Educational Linked Authorities. | Recycled Bookmarks | Reward Wristbands | ..and a whole lot more..
1. Select the Category that you wish to order from e.g. 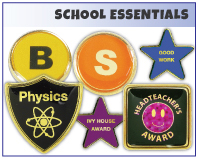 'School Badges', using the menu selection on the left of the page. 2. Fill in all the relevant details i.e. 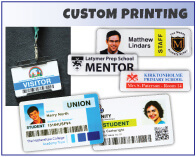 quantity, product colour, print colour, design/wording etc. 3. Click Add To Basket to continue shopping. 4. Or click Add and Checkout if you have finished shopping. 5. At Checkout fill in all the boxes with your contact details i.e. School Name, Address etc. Enter your Email address and if this is the first time you have shopped with us then enter a new Password you can remember. If you have shopped with us before on this web site and have forgotten your password a new one will be E-Mailed to you if you click on the "Click here to receive a new password via email." link just below the Email field. or choose "Guest Checkout" and just enter your details for our express checkout system no account creation necessary. 6. When you are sure you are finished shopping select Checkout: then click Continue. 7. If you want to PURCHASE BY FAX you can now either print that page and fax it to our FREE FAX No. 0800 233 5971, or send your order in the post. 8. If you are happy to PURCHASE ONLINE NOW then click Continue then Process and you will be sent an invoice with your products, NO NEED TO PAY AT THE CHECKOUT, no need to pay until the items are in your hands. Please Note: Delivery times are 15-20 working days unless otherwise stated, (End of Term gifts and Special Holiday items may have a longer delivery time, please read Delivery Times for each item). If you require any information or express delivery, please call customer support on 0121 233 1671. Safe Surfing: We have noticed lately more and more web sites that DO NOT show there postal address, this is highly suspicious, so we have put together these tips and guides to safer purchasing off the Internet. Use Strong Passwords. We like to beat this dead horse about making sure to utilize uncrackable passwords, but it's never more important than when banking and shopping online. Stay away from fishy-looking sites. You can't always tell when a website isn't legitimate, but red flags include poor design, a strange or nonsensical Web address, and multiple pop-up windows you can't close. If you notice any of these suspicious signs, stop shopping and close your browser windows. Don't click on fake e-cards. E-greetings are welcomed by most people, but security firms say fake cards can spread viruses. It recommends that consumers delete cards that come from unfamiliar addresses. Avoid strangers on social media. Although many retailers use social media to drum up business, sometimes their accounts get hacked and you're sent a dangerous message or tweet designed to look legitimate. Fraudsters also send malicious messages through social networks. Use common sense. If a deal online seems too good to be true, it probably is. If anything seems suspicious (for instance, if a retailer refuses to provide details on a product or avoids answering billing questions) the best practice is to avoid it and shop with a tried-and-true online retailer instead. Additionally, you should never feel pressured to give out information. If a retailer is requesting something from you that makes you uncomfortable, it's probably time to take your business elsewhere. And remember, at Westfield4Schools we take NO MONEY online, our customers always get the chance to check the goods before they pay. If you require any further information, please call customer support on 0121 233 1671.